Now that you understand where to find affiliate offers and links, you need to choose the niche you want to focus on, and have a general idea of who you want to sell to, or what it is you might want to sell. The next step is you need to get yourself a domain name. At this point in the training you do not have to go out and buy a domain name yet! A Domain name is basically the name of your website where you will be setting up landing pages and your authority niche blog site. For example - PowerhouseAffiliate.com is our domain name. It is extremely important that you use a .com. Many people say you can use others like .ca .org and stuff, but much of this course is around building a "branded authority niche site", and its much easier for people to remember .com. If you try to build a massive brand online and someone already owns your .com name the person with .com will always get your traffic. Direct Linking > many new affiliates start by direct linking. This means they don't own a domain name they simply just promote their affiliate tracking link online and any time someone clicks it they have the potential to earn a commission. That is very simple and basic, but it works sometimes! However if you want to build a big affiliate business you need to build a domain with authority. Having your own domain allows you to build a website. Your domain name is the actual website address that people will type into the address bar. 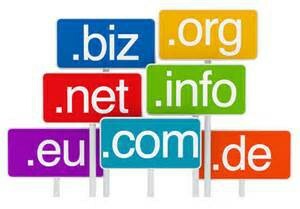 For example, google.com, and facebook.com are domain names. What Do I need to Consider When Choosing my Domain Name? There are two trains of thought on how to choose a domain name. You could make up a brand name, or you can choose a keyword related to your niche. Now many many years ago it was possible to get a keyword highly specific to your niche and this tremendously helped you rank your website in Google search results. But over time - all the names are taken! It is impossible to get a 1 word domain unless you want to pay several thousand dollars. Two word domains are getting scarce but possible. The idea we use is to choose a brand or 2 or 3 easy words that flow well together. The days of getting the exact keyword for SEO purposes are likely over and it wont really matter that much since the idea here is to build a following and a brand. Here is an example - DayJobHacks.com. This is a site I built specifically to build a brand and to show people how possible it is to build a content rich site and Youtube following. I will get more into it later but understand that the domain name itself was not chosen for search engine optimization purposes, but for "branding" purposes. If you want to ask for input before buying a domain name you can through the forum. Powerhouse Premium Members get Free Hosting but you will eventually need to buy your domain name. If you plan to use our hosting it is easier to just buy the domain through us inside your own premium members account. Finding the perfect domain name for your affiliate website can certainly prove to be challenging since there are several factors to consider, plus lots of names are already taken. To avoid any mistakes, let’s go through some factors you’ll need to keep in mind when choosing your domain name for an affiliate marketing website. Is Your Domain Name Scalable? When it comes to selecting a domain and doing keyword research, it is important to find a name that is scalable. This means that you want to be able to use your domain name well into the future if you choose to expand your business in this particular niche you have chosen. In this case the first domain is obsolete, but mobile phone reviews will always be relevant. Should Your Keyword or Niche Topic Be in the Domain Name? When choosing a domain name it is best to choose a highly searched “keyword” that is related to your niche of choice if your main goal is to get search rankings for that one keyword. But this method is becoming obsolete. You need to think bigger than just one keyword and start thinking about building a brand so people start searching "YOUR KEYWORD". If I start to really get the word out about "Day Job Hacks" people are going to start searching for me. While having your keyword in the domain name helps you get your site to the top of Google search results, your goal is to make money, so in order to sell you need a name that looks legitimate. You also need a domain that’s easy to share with people in a regular conversation. That is a horrible domain name and it happens all the time! One thing you want to avoid, is having a real company brand name in your domain name. This means you don’t want names such as Google, Amazon, Apple etc. within your domain name otherwise you may be facing a lawsuit from those companies as it may be infringing on their brand. You should also avoid having a product brand name within the domain. For example, Kindle is Amazon’s proprietary brand for their e-reader and if you have the term Kindle within your domain name, Amazon could complain. DON’T choose domain names longer than 15 characters as they will end up being more difficult to remember and share. DON’T use hyphens in a domain name as they take credibility away from the website and can actually be considered as a spam indicator. One great way to find available domains is to use the http://www.leandomainsearch.com/ tool. Simply enter words related to your niche and this tool will spit out hundreds of variations that may be available right now. Once you find a name then go over to our domain tool to buy it for your hosting account!